Warwick Racing have just come back from finishing 3rd in Class 2 at the UK Formula Student competition in July with our first conecpt Electric car. For the 2018/2019 season Warwick Racing will be working to create what we hope will be our first ever Class 1 Electric entry into the Formula Student Competition. We will also be developing new ideas on a test vehicle to prove our concepts for the following year. 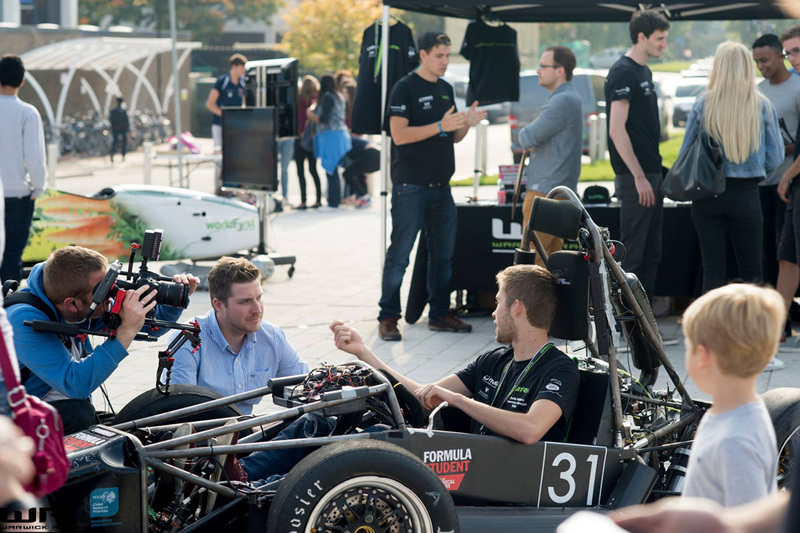 This year will be our fourth year as an extracurricular project, which has allowed Warwick Racing to grow across the university, giving students from every degree the chance to be a part of the team. Although our primary aim is to build and race a successful single seater at Formula Student both in the UK and Abroad, our work throughout the year encompasses far more than meets the eye. With a wealth of opportunities throughout the team, there is a role for everyone, no matter your experience or skillset. To discover more about the WR team click here. To find out how to get involved, fill out our member form here, visit our facebook page or get in touch with one of our managers.